I’ve been having fun lately with my customs. It started as a way to create cards for sets that should have existed. Missing players, deeper rosters, that sort of thing. Not every set can have 700 cards, but my imaginary additions can fill in the gaps. Then it sort of evolved into this exercise of creativity whenever I was lacking it. My day job is that of a web designer, but I’m only actually “designing” a new site every few months. The rest of the time is the actual building of a site, adding content, manipulating text, changing code, adding links, that sort of thing. So, while editing CSS all day can be rewarding within a finished product, it doesn’t really get the creative juices flowing. There’s only so many times I can spec “Raleway, 15pt, #2A2A2A” before it gets redundant. Every once in a while, I need to take a break and do something creative. I think it’s a good exercise for just about anyone. Even if it’s not creative, strictly speaking, everyone should find a little time to do something they enjoy. So, once a month or so, I’ve been working on custom cards. I also realized I hadn’t shown any (except my Fire redesign) since the 2016 Olympics cards. Enjoy, and click the previews to enlarge! 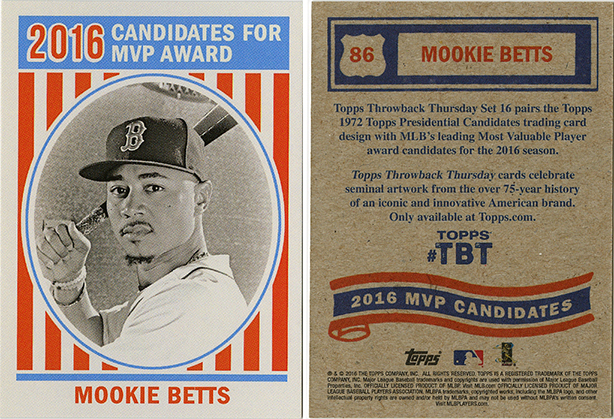 I’ve been on a bit of a Mookie Betts kick lately. Awesome player, seemingly genuine human being, and cornerstone of the Boston outfield for years to come (especially if contract extension rumors are true). 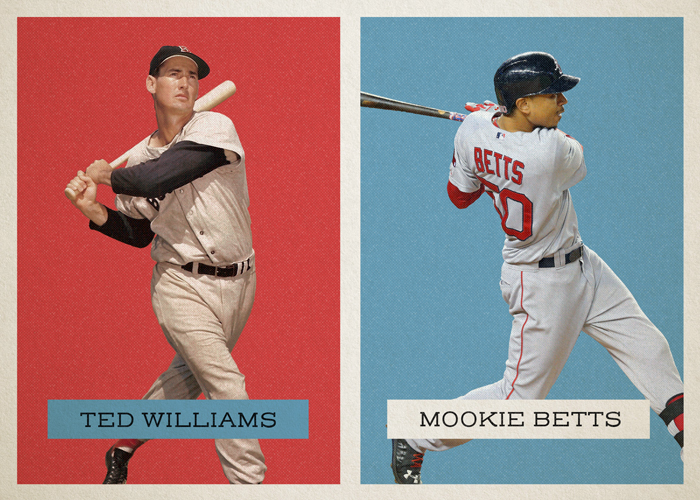 I’m stockpiling as many Mookie cards as I can. I’ll never be able to afford those $500+ rookie autos, but I can gobble up as many others as I can find. These are just the recent additions to the collection.